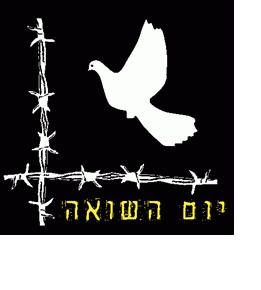 Today, April 21st is the commemoration of the Jews who perished and those who showed resistance and heroism during the Holocaust. Up to 7000 people, most of them Jews from across the world, took part in the annual march from Auschwitz to the crematoria of Birkenau in Southern Poland to pay tribute to the millions of Jews murdered by the Nazis during World War Two. In the years 1933-1945, millions of Jewish people suffered under the terror of Nazi rule, where anti-Jewish propaganda, segregation, and mass murder took place. The German anti-Semitism was based on racial ideology which stated that the Jews were sub-human and the main cause of Germany's problems, while the Aryan race was ultimately superior. In the Holocaust, approximately 6 million Jewish men, women, and children were murdered, in addition to millions of others such as Gypsies, gays and the mentally ill.